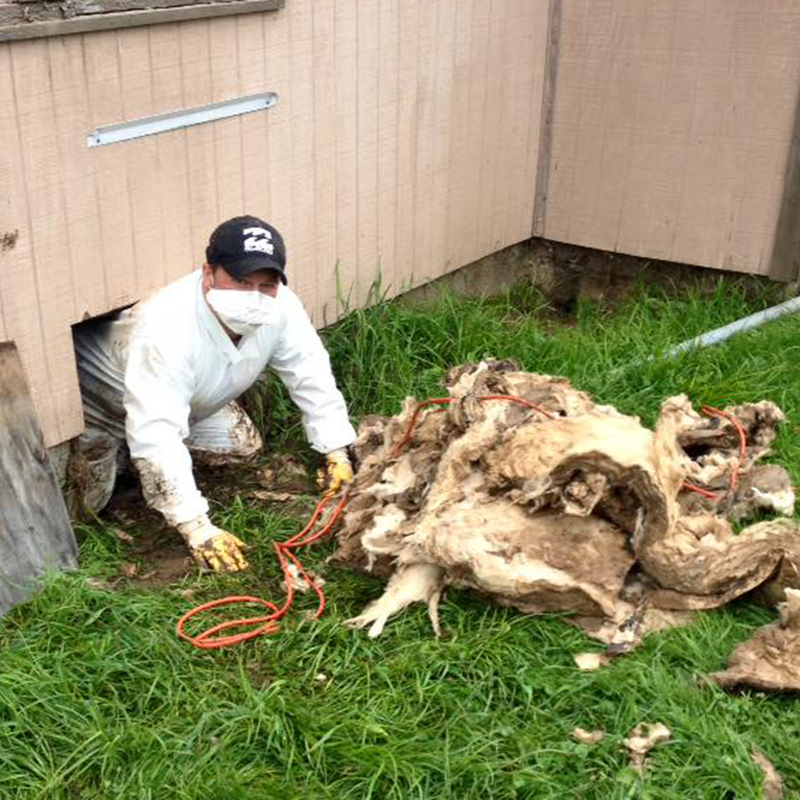 Bruce and Herb removing flood soaked insulation from a crawl space. First, I could not be more proud of my county. It was announced earlier this week that John Unger & FEMA have congratulated Greenbrier County for “having the fastest non-governmental response they have ever seen to a major crisis.” Our “local churches, civic groups, & organizations,” they said, “are miles ahead of others in similar circumstances.” Well done Greenbrier county. Also, I cannot thank Bruce and Rita Engen enough. Bruce and Rita are two of our friends here at Renewed Heart Ministries. They follow us online and track with us through our many resources. And this week they packed their truck chuck full of tools and drove over from the other side of Virginia to help. 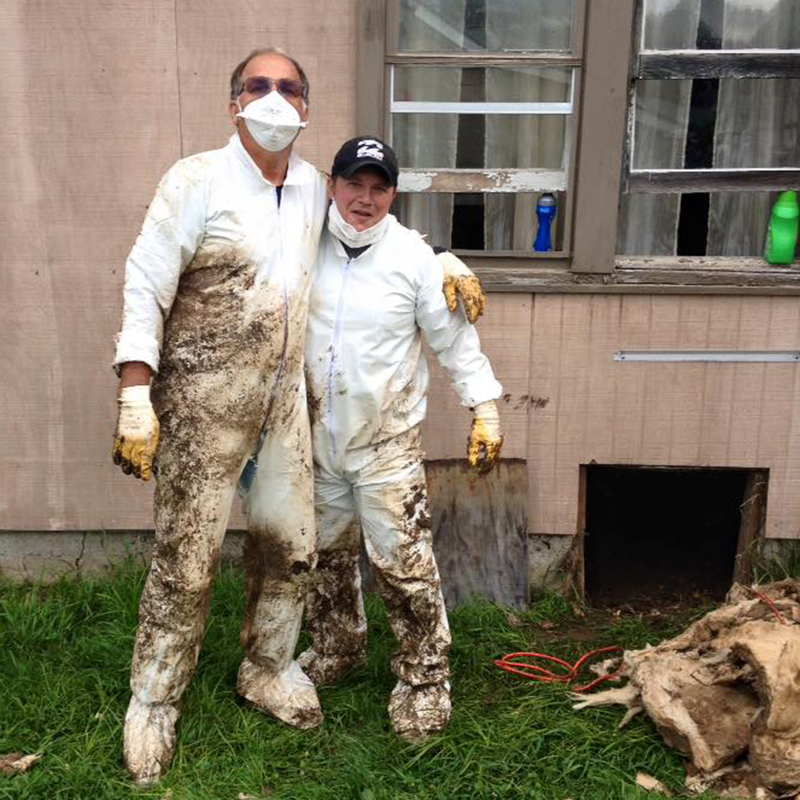 When Bruce, Rita and I showed up Wednesday morning in White Sulphur Springs to help, the volunteer dispatch center informed us that things were becoming more stable there and that an area that desperately needed our help was Richwood, WV (Nicholas County). We jumped back in the truck and off we went. When we arrived in Richwood we discovered they were right. Richwood was in desperate need of volunteers. We found the flood relief and recovery efforts there to be extremely well organized. Organization has been one of the greatest challenges for areas so far. With so many people taking the initiative to help their neighbors, the flood recovery efforts in each location have become comprised of many simultaneously moving parts. If you’re patient and flexible you’ll find a place to plug in and help. In Richwood all volunteers are being processed and dispatched from a central “needs” reporting station located at the Family Center on 3 Valley Ave downtown. Over the two days we were there we found each person we worked alongside of to be deeply appreciative of all the help we could give. I want to also thank each of you who have given to Renewed Heart Ministries’ Flood Relief Fund, as well. So far we have raised just over $2,300. If you would like to contribute, the need here is still very great. 100% of your donation goes directly to help the victims of the 2016 flooding here in Greenbrier County, West Virginia where Renewed Heart Ministries is located. We have set up a link through Renewed Heart Ministries webpage where you can give in increments of $15 all the way up to $5000. Every little bit helps when people have lost so much. If you do mail in a contribution please mark it as “WV Flood Recovery” so we can ensure that none of the funds we receive for this purpose will go toward RHM, but directly to aiding our local victims. Lastly, I want to apologize again. This is the third week that there will not be a podcast/eSight. Right now we are faced with a choice of how to best use our time. We could stop and take the time to write and talk about what Jesus taught, or we could choose to direct our efforts toward trying to live out, shoulder to shoulder with our fellow Greenbrier countians, the mutual aid, the resource sharing, the “people taking care of people” ethic that we believe the historical Jesus taught. We’ve chosen the latter. I’m sure things here at RHM will resume in the not too distant future. Please forgive us in our absence while our focus is on working alongside those in our community. And thank you for your patience with us during this time.